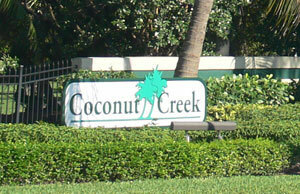 We broke ground on Coconut Creek in 1990. 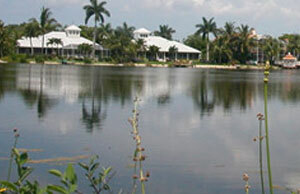 Set on the historic 76 acre Frederick J. Wesemeyer estate off McGregor Boulevard in South Fort Myers, Florida, Coconut Creek features 123 single-family home sites in a gated community surrounding two lakes on property filled with beautiful royal palms, coconut palms, oak and banyan trees. 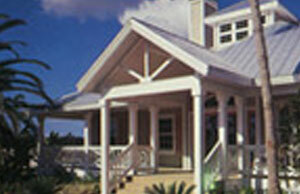 All of the residences are built in the timeless Old Florida architectural style including expansive porches and metal roofs. Dan Dodrill focused on preserving the historical nature of the property by restoring Wesemeyer’s 1930’s hunting cabin to serve a new purpose today. The hunting cabin was erected from rough-sawn cypress slabs and remains solid. He kept the building’s nostalgic charm and moved it so it could serve as the Coconut Creek clubhouse and is a state historic landmark. Other amenities include a large swimming pool and spa, a fenced playground area, two full-sized tennis courts, lighted streets, and sidewalks. Thank you, Dan, for doing a great job on our house. It was scary to ride out Hurricane Irma in our house, but I did feel safe knowing that our hurricane impact windows and hurricane proof garage door would protect us from the wind and rain.